It was some 13 years ago that waiting around at Bangalore airport for a flight that was very delayed that I bought one of the most interesting books I’ve ever read. It was just released and I bought it for 2 reasons: The authors were Gallup researchers and I have frequently followed the principle that the title proclaimed: “First break all the rules” (Marcus Buckingham, Curt Coffman). The book is an outcome of research with over 80000 successful managers and what principles guided them. In all these years I have never forgotten its main principle: “People don't change that much. Don't waste time trying to put in what was left out. Try to draw out what was left in. That is hard enough”. (I recommend the book for any manager or leader, including aspiring ones). Change matters. But real change happens only with a dramatic experience or through a conscious new insight gained. Many mothers have lost children to drunken driving and they usually react angrily. One woman, Candice Lightner, who lost her 13-year old daughter to a drunk driver, even as she was deeply upset founded MADD (Mothers Against Drunken Driving) to combat drunken driving and help victims. That’s a dramatic event that changed a mother to respond differently from the normal. People who have learned that the Aryan Invasion Theory is a hoax have changed their thinking due to new insight and scientific research into history. Change is usually not incremental. HR specialist Susan Heathfield says about the book: “The implications of this insight for training and performance development are profound. This insight encourages building on what people can already do well Instead of trying to “fix” weaker talents and abilities. The traditional performance improvement process identifies specific, average or below performance areas. Suggestions for improvement, either verbal or in a formal appraisal process, focus on developing these weaknesses”. Let me explain this. Steffi Graf, the great Tennis player, had a powerful forehand but the worst backhand in women’s tennis. Instead of improving her backhand, her trainer taught her to go around the ball to her left and hit her same powerful forehand. If he had tried to greatly improve her backhand, he would still be doing it. What great managers do is not eliminate the weakness but manage it in a way that doesn’t affect one’s strengths. They FOCUS on strengths. They don’t try to put in what’s not there, they draw out what’s left inside. Godhra and post-Godhra 2002 Narendra Modi had a dramatic experience as also gained deep insights. He was vilified and political opponents, assorted NGOs and gangs and most of all, the media launched the most vicious witch-hunt ever known in Indian politics or media against him. He had the choice to fight them by reacting and fighting like any normal politician. He did not. Instead, he chose to focus on his strengths, the strength of people’s mandate and the strengths of Gujarat. Talent and skills are two different things. Skills can be transferred, not talent. One can be taught to fight fire, one can’t be taught to ‘stay calm’ under fire. The first is a skill, the latter is a talent. When it came to fire-fighting Modi had both. He stayed calm under fire and fought fire in his own way. On January 15, 2009, Capt. Sully Sullenberger landed a troubled aircraft with 155 on board on the Hudson river in New York. Everyone was saved. He had the talent and skill to fight fire and stay calm under fire. The changes in Gujarat are not of great dramatic achievements, though many can be listed, but one of leadership. Creator of the artificial heart, Dr. Robert Jarvik says: “Leaders are visionaries with a poorly developed sense of fear and no concept of the odds against them”. No matter what one chooses to say about Modi that describes him quite well. He had no fears and didn’t bother about the odds against him. These are signs of strong leadership. Imagine, Gujarat is not a state gifted with many natural resources. On that count it has a lot in common with Rajasthan. A few years ago Rajkot and Saurashtra region were completely starved for water. Yet, instead of rioting or agitating against the govt Gujjus pulled out their resourcefulness, their sense of community and combatted the water issue. The Gujju refuses to beg. He or she may sit on a footpath and sell Neem sticks as tooth-brush or anything they can sell but they do not resort to begging; it is extremely rare. It has been many years since one has even seen a rally protesting anything (unless you talk about Mallika Sarabhai). Many industries haven’t seen a strike in all their existence in Gujarat. No matter how much a Gujju earns he doesn’t spend like there’s no tomorrow. Except for a small number and a few weddings there is nothing ostentatious about the manner in which Gujjus use their wealth or about their lifestyle. The only thing that had consistently angered Gujjus is the political division of society and communal riots. These are trademark features of Congress politics and of similar parties. KHAM theories, mindless reservations, freebies and turning a blind eye to communal crimes of the minority and alienating Hindus. Other than that, may be an increase in VAT or Sales Tax could upset Gujjus. Since mid-1990s a full-strength BJP has been in power and there has been no looking back. The last straw was when a known bootlegger and mafia guy was propped up to rule a small kingdom in one part of Ahmedabad and the 1985 riots. He was killed in an ‘encounter’ type strike when Shankersinh Vaghela was the CM. Vaghela had quit BJP to join forces with Congress to realise his ambition of becoming CM. Something the Gujjus have never forgotten and he is still paying a price for it. So what do Gujjus really want? Nothing really! Their basic message to the govt is “you mind your business and let us mind ours”. Peace, safety or freedom of movement are all nothing new and have always been around in Gujarat. Even in times of natural disasters Gujarat has a large number of NGOs that reach the needy faster than govt agencies do. The plague in Surat in 1994 turned the city into a model city later on instead of destroying it. In times of disasters you won’t often hear the line “Sarkar kuch nahin karti”. On January 26, 2001 when a deadly earthquake struck most parts of Gujarat, power was back in Ahmedabad within 24 hours. The first responders, as always, were volunteer NGOs. Some parts of Kutch, the epicentre of the earthquake, are far better now than they were before the earthquake. All the Gujjus want from a govt is to build great infrastructure, ensure water supply, create medical facilities and curb evil social practices. They don’t like their govt to be in their face every day. They don’t want to see Narendra Modi give a speech every day. They don’t look for grandiose schemes or announcements frequently. These are the rules Modi has broken and has been breaking frequently. Corner shops, Cafes and Paan-shops in Kolkata or Delhi are great places to discuss politics all the time; from morning till night. These same outlets in Gujarat would hardly have any political discussions. The best you can find is stock market discussions and during Cricket season a little more exciting betting discussions. I don’t think even a Central govt policy, except taxes, find much discussion among common folks. Most of all a huge majority of Gujjus don’t watch NDTV, CNN-IBN, TimesNow, Headlines Today or read TOI. In fact, most don’t read anything at all, unless mandatory. Believe me, till some years ago if you spoke English in Gujarat you were God. Er… That was till this Sachin Tendulkar came along. So when the Social Genius from a news channel heads to Gujarat and wants to find out the condition of Muslims alone, she is not just insulting Muslims she is insulting all Gujjus. The Congress has built it into the psyche of media morons that the question must always be asked what a govt is doing for minorities (read Muslims). First and foremost it is a great achievement of Indian society that whether you are from majority or minority you are legally equals. The other question never occurs to the media: “What have Muslims done for Gujarat, what have Muslims done for India”? What have Hindus, Christians, Parsis, Sikhs, Jains and others done for Gujarat? For India? That’s the question that endeared JFK to the American people. Why not ask what the people have done for their state or country? It is in such a divisive and destructive atmosphere and a viciously hate-filled media that Modi’s leadership was tested. And what did he offer? Let me quote Marcus Buckingham again: “What a leader does for followers is… turn anxiety into confidence. They’ve always done that throughout time and in every different society and situation. When leaders lead well, it’s because they’re able to rally people to a better future and make people spirited when they were previously anxious”. It is undeniable that Narendra Modi broke many rules of traditional Indian politics, especially Nehruvian politics. No subsidies, no free power, no freebies, no mindless reservations, no cash doles. Nothing! Have all the problems disappeared? Not at all! There are quite a few and newer ones are sure to come up. But Modi has quite definitely changed the political and electoral dialogue. Modi’s development agenda is much talked about and much recognised. Which is why enemies of a progressive society will keep reminding of old wounds to attempt dividing societies. Our media does exactly that. Their only job is to defend the corrupt and keep dividing society on caste and communal lines to further their agenda of their political masters. Gujjus are far more liberal and open as a society than the ones on TV who have a twisted idea of “liberalism”. The development agenda is two-dimensional; one that is very visible and one that is not so visible. In the next part we will try and examine where the road from Gujarat leads to. I am constantly given the impression of Gujjus by our so called secular media, being a tribe spending time in Stock market, earning money,materials etc Being a tax consultant based at Hyderabad my Gujarathi clients bring to my notice of any recent notification on Service Tax published on front page of a local Guj Paper on the very same day, well before I stumble upon 'online portal' searching for it! Let NaMo be the beacon of light and hope for the rest of dark India! Actually, we are a very gregarious people who like to enjoy life and experience the world without necessarily 'deracinating' ourselves. All senses are indulged, but usually within mores of society and religion - on the other hand, there is hardly any fundamentalism or rigidity in observance. Navratri is a very good example of what Gujarat is all about. I am from Eastern U.P. but I have always remained a great fan of Modi and Gujaratis. Modi, for not being cowed down by the constant and defamatory allegations of Congis & Media goons; not even taking any note of. And Gujaratis for their miscible nature and acumen. Both are almost unbeatable in their fields. Modi has made himself clear (to the Gujaratis and to the world) by his actions. I can imagine the constant pressure he has to cope with development in one hand and law and order in the other. If any untoward incidence happens in Gujarat, not the police, not the bureaucrats, not anyone but Modi will be blamed, and that too directly. Modi aide, Modi's Govt., Modi's men, was the constant cacophony we heard all along; NOW it's MODI's GUJARAT in reality. Modi has truly found inner peace and is now turning challenges into opportunities. "Most of all a huge majority of Gujjus don’t watch NDTV, CNN-IBN, TimesNow, Headlines Today or read TOI. In fact, most don’t read anything at all, unless mandatory." Same here, don't believe wasting time on trash rather use it for own research to find out "Truth". Great work ! When leaders lead well....turn anxiety into confidence..always read your article... and eagerly waiting for next one. keep it up, Ravi we are with you(Facts, Truth, Logic). Really good, a Five Star post! It ticks all the boxes! Recently, while reading a Wikipedia article on Lothal for more information, having visited the place, I realised that the Indus Valley civilisation died out due to social decay and natural disasters, and the 'Aryans' or their predecessors mostly took over in their place. Anyway, there were no hordes rolling in from the mountains into India to pillage big cities during the BCE. So mostly it seems that the Aryan Invasion Theory might be a Marxist or Christian ideology influenced tool to soften up the natives through guilt, so that they can be offered alternative dogmas as a remedy. I am no expert in these matters by any stretch of imagination, and I have no way of knowing if such machinations lend themselves easily to grand conspiracies, but at least it gives us enough cause to pause and reconsider what we have been told in the history books. Being from Gujarat, I will agree with all the observations made about NAMO, Gujarat and Gujjus. These observations remind us of our duties and responsibilities to stay by the leadership of NAMO and hound out all his detractors by democratic means. We Gujjus believe in 'Live and Let Live' policy. We want good governance, effective leadership and progress for one and all. A strong undercurrent is building up before the D-day to vote in progressive forces and vote out those who swear by democracy but indulge in negative tactics. A good article, though falling in standards of sarcasm and wittiness of most posts here! A sincere feedback: please do a language check on the column again - it was very difficult to read and comprehend, unlike the clear prose that I am used to reading in all your past posts! Yeomen service by the way.. keep it up! I think a large part of the blame lies with these online composers provided by Blogger, Wordpress, etc., which make it very difficult to write and review long tracts of text and other content. 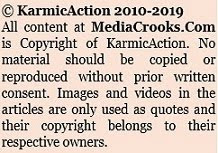 I have been thinking of suggesting that Ravinar should first compose the post in a proper word processor, and then paste it here to be formatted with images and links. Now, thanks to you, I have acted on it. Just BRILLIANT!! "What great managers do is not eliminate the weakness but manage it in a way that doesn’t affect one’s strengths. "is so beautifully explained as you approach the central theme of your writeup.Modiji has achieved inspite of the spite in the political/media circles.Salute. excellent, no words to describe how well it is written. the best thing was how well "first break all the rules" was correlated to the present scenario. steffi graf's example was very much in context. i've always believed, besides the numbers, the biggest achievement (which is abstract and cannot be calculated like growth figures)of Modi is the pride and the passion that he has incited in the people of gujrat and the pride of being a gujrati. Great article. One quality I've found surely within people from Gujarati is, not only they will concentrate on their own self development but they will ensure everyone around them improves. Coming to today's subject I would like to quote an example. I live in Hyderabad and know in and out of city. There are places pretty bad to habitat. Some area is concentrated by Hindus and some by Muslims in majority. On the other hand, there are extremely good areas, few are among the richest in country. Tomorrow I thought to go and create a documentary on these less known areas with some disturbing footage. Well, now I have some content with me, here I am to decide what's my Intention and timing. I can use the footage to make the govt. realize that people may need help. On other hand, I can use the footage in a negative way only to show negativity in city & govt, without showing there's an improving side as well. That's Bimbolika for you. IT is brilliant analysis and has given me a new energy,I got that very important lesson which was not given to me in management classes great. Great Article Raviji. Being a resident of Gujarat yourself this article has more credibility than any other T D & H.
I am a great fan of your writings. compilation of these articles will become unfolding story of contemporary Bharat. will be recomemnded for journalistic techniques, literary style, research, presentation, humour, sarcasm and so many things. you may fail but never beg... and we see spineless defining the future of India a crime far worse because that does not impact just the present but the future.. Profound article indeed. This is a lesson about, "Leadership", "Performance appraisal", "Gujju psyche", and Modi combining his fearlessness and the strengths of Gujjus, to provide "Path breaking Leadership". My admiration for Gujjus as fellow Indians, has increased many fold. My respect for Ravinar, has increased many fold too! Amazing Work..!! Ravi.. u r brilliant.. God Bless you..
you are following n +1 rule. while nth article is always great n +1 is always better. Would like to read your on other topics than the media. Please share if you have written something like that. I wish Modi rule Maharashtra and make mumbai livable and clean like Ahmedabad. Be serious about stray dog menace and solve it firmly with humane touch. and also stray cattle. Demolish all slums and provide alternate flat accommodation and ban slums just like plastic bags. Tell the courts that Mumbai cant take daily burden of pouring migrate population due to infrastructure problems. The city is growing with no plan making it the most ugly city. Builders should be reined in. And this applies to Bangalore as well. "Corner shops, Cafes and Paan-shops in Kolkata or Delhi are great places to discuss politics all the time; from morning till night"
As a Bengali who has lived outside Bengal for most of his life, all I can hope for is for Bengalis to come and see places like Bangalore or Gujarat to get a little bit common sense and humility. As far as my limited wisdom can see, for almost 30 years now, Bengalis have been moulded into this "agitation" mentality nurtured by CPM and now continued by Trinamool. I have a lot of Guj friends...They have super qualities and are very focused. Most are educated and have amazing business sense. Also, for the Gujaratis who are reading this article, ignoring the media etc is good but it shouldn't be overdone. When one doesn't control the discourse on oneself, it is taken over by vested interests. The likes of CNN-IBN, NDTV etc. influence a large section of people and we should do something to counter these, not just via blogs and internet but through TV and print media too. हमेशा की तरह बेहतरीन! शानदार!! आँखे खोल देनेवाला!!! Great write up. Facts apart, damn inspiring too. That's one of the things that's expected of journalism. Anxiety to Confidence -- pearls of wisdom. 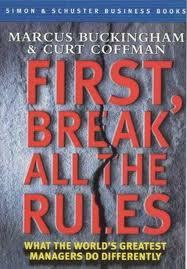 Here are the links for the book Ravi had menetioned - "First break all the rules” (Marcus Buckingham, Curt Coffman). Hats off to you ! You have inspired many to write and turned verbal frustration into meaningful Validator for democracy. But alas! Our dhimmi media is of the worst quality. Modi’s development agenda is much talked about and much recognised. Which is why enemies of a progressive society will keep reminding of old wounds to attempt dividing societies. Our media does exactly that. Their only job is to defend the corrupt and keep dividing society on caste and communal lines to further their agenda of their political masters. You can see how desparate and scared are these PAID media crooks. very insightful and inspirational article. Nicely placed pic of CNN-IBN!! "All the Gujjus want from a govt is to build great infrastructure, ensure water supply, create medical facilities and curb evil social practices. They don’t like their govt to be in their face every day" ... i think not only gujjus, but every indian wants the same from the govt. 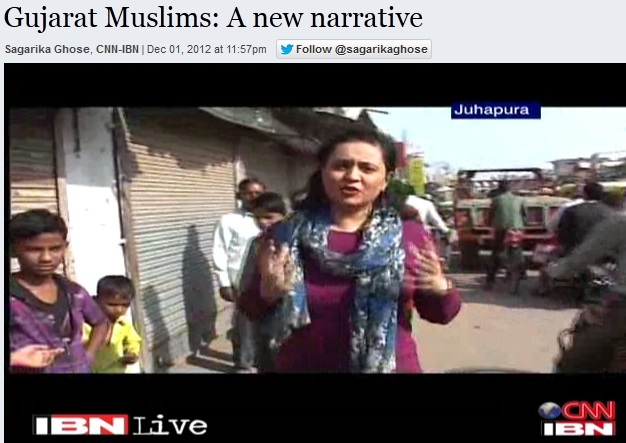 "The other question never occurs to the media: “What have Muslims done for Gujarat, what have Muslims done for India”? well they built these moques, lal quila, qutub minar, taj mahal, chaar minaar, more mosques and reproduced like rabbits. and they still are doing. barring a few( Sir APJ Abdul Kalam) i dont see any real contribution from them except controversial fatwas being issued by their madrassas every now and then. brigadier pratap had said some true things in the last scene of movie shaurya. the real truth about the majority of the muslims in india. call me a fanatic but when you see these people chearing for pakistan in a cricket match against india sitting in a barber shop in nagpada mumbai( a very trivial matter but such things tell us something about their mindset) , then you think, why are they even here?? and what is the need to worry about their well being?? True to every single word! Brilliant article. I have been there and seen everything from the plague, drought, floods, earthquake, Godhra - everything. What crossed my mind after reading this article - this is a great achievement of the state government that nothing has disrupted the peace in the region since Godhra happened, even though instigators have not stopped their job. Truly remarkable. Being near gujarat and a biz man, i know what it is really about. Media's and especially Journo bimbo SG and most recently ABP news distorts that view. I have muslim friends too from gujarat. They are quite happy and are successful due to what has happened in last 10 years. they have made their fortunes 10 fold, (no not that testa setalvad way) but due to opportunities that were created during these times. As Big B says you have to come to Gujarat just to experience it. 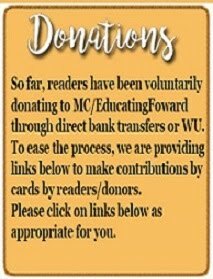 As always another excellent article!!! I only karnataka BJP had thrown up a leader like that, then that party would have never looked back and would have stayed in power .... every common man's dream of a ideal government is governance!! provide for the amenities that money gets collected for... unfortunate that other than Modi... BJp in karnataka has given us so much infighting, musical chairs for power!!! Such an image is detrimental to MODI only... I am sure, both MODI & his Media Advisors are aware about these facts... It is only us in the SM, who should try to balance and avoid going over-board. well the MSM keeps going over board all the time blaming everything on BJP and modi..i have never seen such biased media anywhere..whatever a hindu does is always wrong..always..i am very happy these prejudiced MSMs guys are getting a fitting reply frm d SM..they are just getting the taste of their own medicine..i totally agree with ravinaar.. I agree that expectations from Modi have to be realistic. He is a good leader with many strong leadership qualities, definitely the best option at the moment...but he will need the help of a strong team to deliver nationally. good article indeed but what about Recent so called expose of Kejriwal against Narendra Modi and Adani? Kejriwal and Adani had been aptly answered by concerned Gujarat Minister and Adani himself. See Deshgujarat website. So the big question is: "Is Mr. KEJRIWAL a CONGRESS AGENT??" India has not seen a leader like NaMo since Shashtrijee. Indira was corrupt and power hungry. Did not Congis went around shouting Indira is India, India is Indira. What a f$$$ed up slogan. The nation needs people like NaMo to lead India. Ravi, thanks for punching the corrupt MSM. Keep it up. Let Lord Ram and Krishna bless you. Exceptional! Excellent Style and content, Sir. Excellent analysis on what is leadership in the context of Modi&Gujarat! I've looked at the performances of many world leaders of today but what Modiji has achieved in a climate of skepticism, lack of confidence, biased media, dynastic politics, communal and caste divide,corruption, red tape, drought by clocking up a double digit growth rate in Industry, services and agriculture for several years is almost magical! 1. Gujarat has almost 24/7 power supply and sells power to 9 states including Tamil Naad in the South & Bengal in the East! 3.The Time & Economist magazines rated Modi's zero tolerance towards petty corruption (petty corruption always stunts enterprise/job creation)Besides corruption for me is a duress/yoke over people's civil liberties including fundamental rights, right against harassment, bullying, right to equality etc etc. 5.In spite of all this industrialisation Gujarat is the most green state in India where Modi is laying Solar Panels even over tracts of the Narmada Canal unheard of even in the UK where I'm now. On top of that he is planning small generators to be suspended to tap electricity from the flowing water! The tragedy of the Indian green movement is they are quiet even about these spectacular achievements of Modi as they are blinded by their leftist ideology. 6.I have read that the Muslims in Gujarat as the most prosperous in India with the rediffusion interview of the Muslim BMW dealer and has 10% of his police force comprising of Muslims which even the UK has not achieved with its 3 to 4% Muslim population! So Modi is a true secular who does not believe in tokenism. I loved the part of "Focusing on strength than working on weaknesses". That's an eye opener for me.